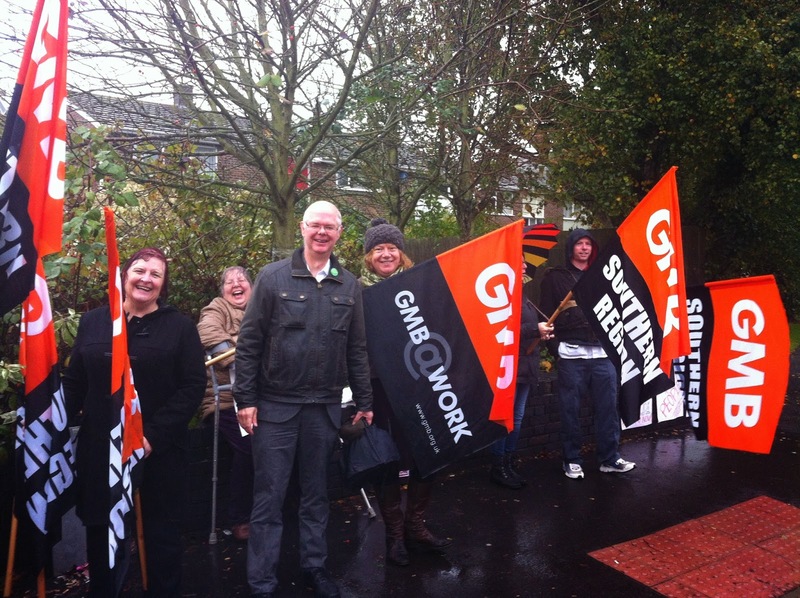 Stuart Jeffery joined NHS workers on the picket line during the October 13th strike at Kent and Canterbury. Stuart is a registered nurse who now works as a director in the NHS. Stuart Jeffery, Green Party Parliamentary Candidate for Canterbury and Whitstable: “Pay for staff in the NHS has fallen in real terms every year for the past 5 years and with a 0% rise for the majority of staff and pay is set to fall in real terms yet again. “If everyone was in the same position it would be more palatable, but MPs are getting 9%. Not only that, wealth continues to be concentrated towards the rich by our Lib Dem / Tory government. Worse still was hearing that Lib Dem peer complaining that they can’t survive on £300 per day while junior registered nurses get around £68 per day after tax and nursing assistants start on £49 per day. “A senior ward sister takes home £117 per day after tax and I guess would love to have a 200% pay rise to bring it in line with Lib Dem Baroness Olly Grender. Promoted by Pat Marsh on behalf of Canterbury Green Party at 18 Martyrs Field Rd, Canterbury. Simple theme. Powered by Blogger.